Dirt or street? Which is better? Which is more fun? Typically, dirt bikers will say dirt, street riders will say street. Some, like me, like to keep the sports separate from one another with both a dirt bike and street bike – and separate gear to go with each. Both sports have their positives and negatives. You cannot hit a high jump on your street bike. 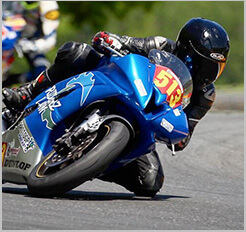 You cannot speed around a tight corner and drag knee on your dirt bike. You do not have to worry about cars hitting you on the dirt bike. But, on both, you worry about crashing and totaling the bike, or much worse, totaling yourself. One thing I do know is that I am dedicated to both sports and wouldn't have it any other way. I have separate groups that I ride dirt with, and groups that I explore the streets with. San Diego has a wide variety of street routes (See my previous blog Best routes and rides in San Diego), but also has a fair tally of dirt bike areas. For motocross tracks, there is Barona Oaks, Pala Raceway, Amago, RPMX (also known as Golden Acorn) and Cahuilla Creek Motocross Park. They all charge a small daily use fee ranging from $20- $50 and most include several tracks for varying skill levels. If the track is not your style, then try a designated off- road area such as McCain Valley, Lake Morena, or the surrounding deserts of Superstition, Gordon Wells, or Glamis. My days of dirt riding ended rather quickly when I purchased my first street bike five years ago. I became addicted to the pavement and taking pristine care of my beloved Ninja 25…the same also being true with my newer Yamaha FZ6R. 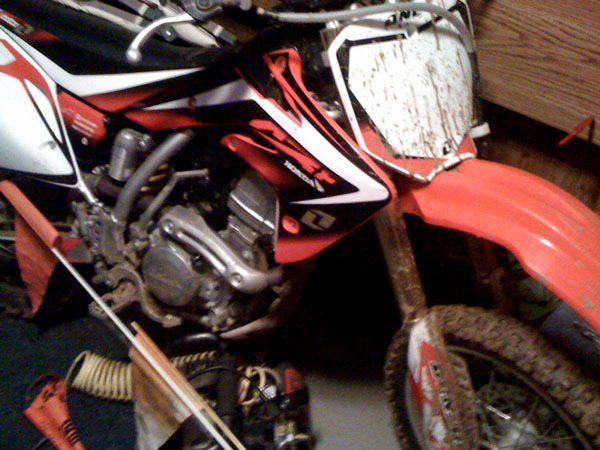 Now, the Honda 150R dirt bike sits in my father's shed gathering dust, waiting for me to come hop on it and splash in the mud. My father raced motocross as a young man, and now that he is sixty-two-years-old, he is the oldest vet on the track on his two-stroke CR500. After a full day of riding he is exhausted. His post-riding regiment includes popping some pain relievers, drinking some beer and usually taking the next day off of work to recuperate. 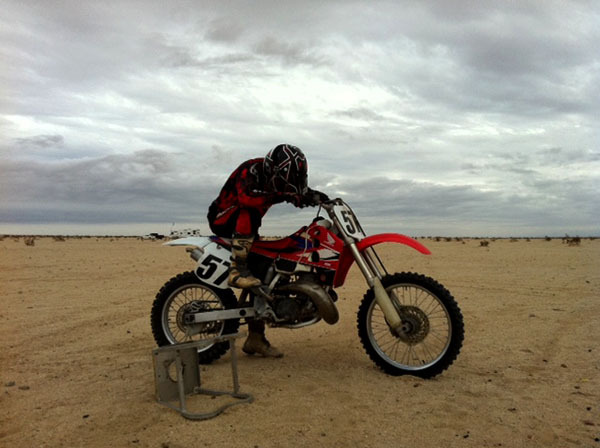 Just a few months ago, he signed up for the veteran race at Barona Oaks Motocross. He was waiting on the start line, and when the gate dropped, he just sat there. His buddy who was sweeping the platform from dirt, pushed and yelled "Go! Go! Go!" over the sound of 20 loud dirt bikes flying out of the gates. My father was not paying attention or had a "brain fart" and was about 10 seconds behind everyone because of his start. Needless to say, he did not get the holeshot!